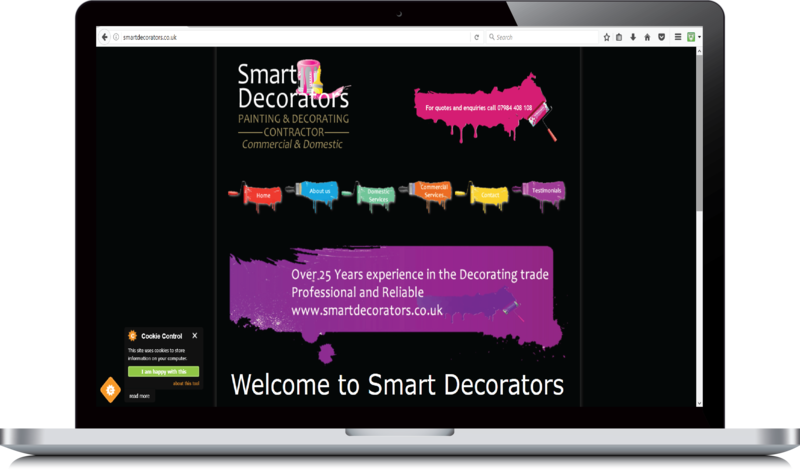 Smart Decorators have over 25 years working in the painting and decorating trade. They carry out contracts in Central Leeds, North Leeds and spreading out into North Yorkshire providing a reliable and professional service for domestic and commercial properties. Contracts vary from Domestic work, projects for local builders, Retail and Manufacturing business's. The company were looking for a new look to their website and needed something that was more up to date and representative of their corporate branding. WebTek Designs created a new design for their website which brought it right up to date, creating and incorporating a new company logo and colour scheme. The new look site also showcases their work to new prospective clients.